Sony is taking the powerful-sensor-development lead again. It appears Sony is on its way to launch a 100-megapixel full-frame sensor. 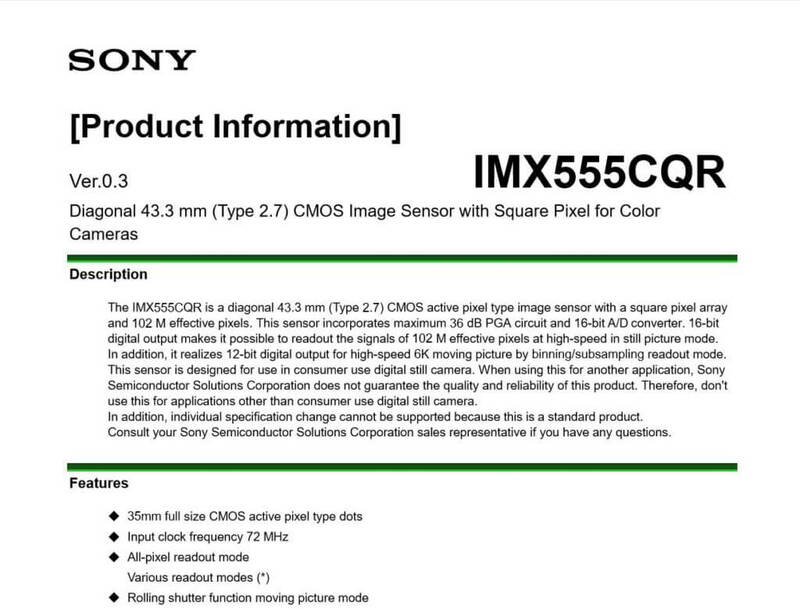 According to reports, Sony has developed a new 35mm full-frame CMOS sensor for consumer cameras. The new sensor is capable of capturing high-quality images in 100 megapixels and shooting 6K videos. The news was first published by EOSHD after technical details of the sensor were leaked on some online platforms. On Chinese forums as well as in the EOSHD own forums, the sensor appeared with the code name IMX555CQR. The new sensor has the capacity to capture still photos in 12288×8192 resolution which implies 12K in video terms. It actually has 102 M active pixels in a square pixel array and is a full-frame sensor for consumer cameras. It is also to feature an innovative and unique readout method that provides a super-fast readout of 16-bit still images. The sensor can also record 6K video in 12-bit in its pixel binning mode. EOSHD states that the leaks appear to show two A/D converters per column. That will be an enormous number of A/D converters which will enable the sensor to produce high-speed digital output. 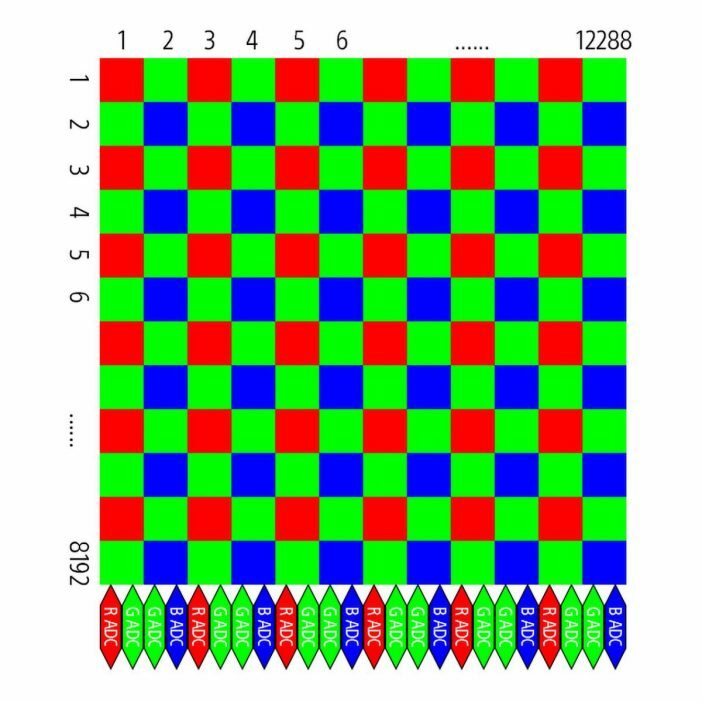 Additionally, the source of the leaked document points out that the 4096 pixels resolution is actually three times the 12288 pixels resolution of this sensor. The source adds that the sensor can do a 4096 x 2160 RGB 4:4:4 stream directly on-chip 3 x 3 because of its color-aware binning. According to the leaked information, the new sensor is designed for use in consumer digital still camera. In the document, Sony warns against using the new sensor for applications other than consumer digital still cameras, saying that it “does guarantee the quality and reliability” of the product in other use cases. It has no support for individual change specifications. Furthermore, the report says that Sony is going to make the sensor available for use by third-party camera manufacturers. But as the company has warned previously, it is not advisable to use the sensor for other applications that are not digital still cameras for consumer use. Of course, this will not be the first 100 megapixels sensor on the market. Sony already has sensors with the capacity to capture 100 megapixels images. However, all those sensors are only available in large formats – larger than the 35mm (36×24mm) full-frame Sony has just developed. For instance, the Phase One iXM 100MP drone camera uses Sony medium format sensors. And so does the Phase One XF 100MP drone camera. Even Fujifilm has already unveiled the body for an upcoming 100 megapixels, but in medium format. However, Canon may very well be the strongest contender when it comes to the topic of high-resolution 35mm full-frame sensors. The world was thrilled when Canon announced its much smaller APS-H 250-megapixel CMOS sensor. Although, Canon’s smaller-than-full-frame APS-H 250-megapixel CMOS sensor appears to be more suitable for industrial applications than for consumer photography. Furthermore, rumors have it that Canon is looking at a 100+ megapixels full-frame sensor for its future EOS R mirrorless camera.